Providing Shanghai apartments, villas and houses for rent, Maxview Realty will help expats find their ideal rental homes in Shanghai, both quicker and easier with the best service guaranteed. Maxview has over ten of thousands of available housings in our database, each updated daily and double checked for information accuracy and authenticity. Maxview's professional engineers will carry out inspections of 140 items on each property to ensure the home is ready. Maxview consultants have almost double the industry average level of experience and are highly-trained and skilled in handling all aspects of house search. Maxview will do its utmost to find appropriate housing that not only fit your requirements and budget, but also to save you valuable time in your search for the most perfect and comfortable home. Sign contract and move in! Our passion is not only in finding the right home, but in making our customers feel at home in China. We’re here to make the transition as smooth and worry-free as possible. Maxview Realty has extensive experience managing relocation for multinationals, and we use this expertise to provide top-quality consultation and maximum client satisfaction to every company we work with. As the head of the Shanghai office, Shirley has been with the company from the start. 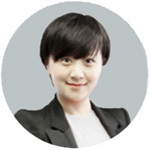 Since the helm ofMaxview Shanghai, Shirley has been instrumental in providing superior coordination, service and satisfaction to our clientele. 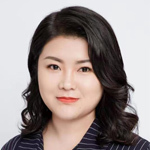 She boasts an excellent knowledge of regarding the relocation and real estate industry in China, with a focus towards Shanghai. Della is in charge of our Beijing operations of Maxview. 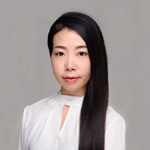 Della has been a part of Maxview Beijing since its very beginning and has since then build a team who are able to tackle any and all situations. 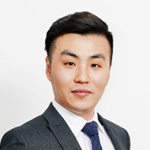 Having worked in the industry for over 10 years, David is in charge of Maxview Guangdong. David handles all the day-to-day operations, inquiries and tasks and makes sure it is completed to satisfaction. Ginger has worked tirelessly to bring our operations out to Suzhou and the surrounding areas. With years of experience under her belt, Ginger and her team have been providing top-notch service to the industry in the past years.